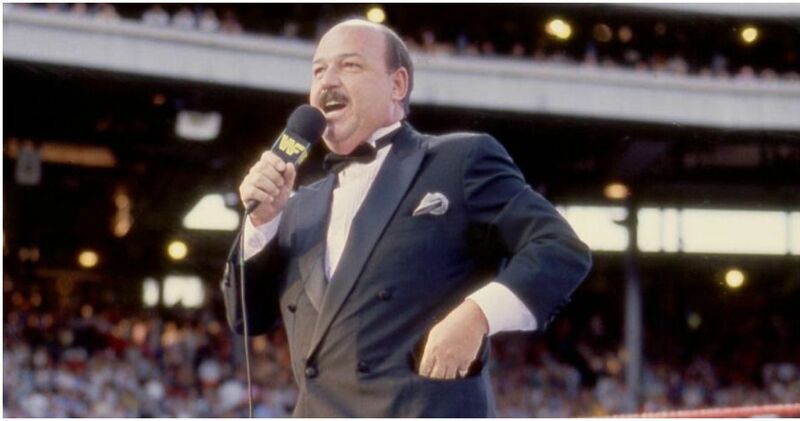 The obituary for WWE Hall of Famer “Mean” Gene Okerlund is now online from Dignity Memorial at this link. The obituary notes that Okerlund passed away at Sarasota Memorial Hospital in Sarasota, FL on January 2, 2019. He was 76. Gene is survived by his wife, Jeanne, and their sons Todd (wife Patricia) and Tor (wife Dana), and grandchildren Henry, Arthur & Brady. His wife was at his side when he passed. As noted before, Gene’s son Todd told TMZ that his father suffered a “nasty fall” back in December. The fall triggered a rapid decline in his health, which led to his passing. Okerlund had been in “frail health” but the fall made things much worse. He was admitted into a nursing home just four days before his death. Gene had trouble breathing last Wednesday morning and was rushed to the hospital. He passed away later that morning. A private service for the family will be held on Wednesday of this week in Sarasota. Funeral arrangements are being handled by Robert Toale & Sons Funeral Home at Palms Memorial Park in Sarasota. The family asks that people make donations to the PKD (Polycystic Kidney Disease) Foundation of Kansas City, in lieu of flowers. A new WWE Network Collection on “Mean” Gene was scheduled to go live at 10am ET this morning, Tuesday.